The Soviet–Japanese Neutrality Pact (日ソ中立条約, Nisso Chūritsu Jōyaku), also known as the Japanese–Soviet Non-aggression Pact (日ソ不可侵条約, Nisso Fukashin Jōyaku), was a neutrality pact (non-aggression pact) between the Soviet Union and Japan signed on April 13, 1941, two years after the brief Soviet–Japanese Border War. 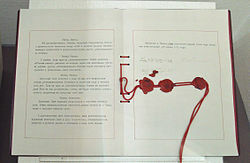 The pact was signed to ensure the neutrality between the Soviet Union and Japan during World War II, in which both countries participated. After the Fall of France and the subsequent expansion of the Axis Powers, the Soviet Union wished to mend its diplomatic relations in the Far East in order to safeguard its eastern border and concentrate on the European theatre of war. On the other hand, Japan, bogged down in a seemingly interminable war with China and with diplomatic relations with the United States rapidly deteriorating, sought an accommodation with the Soviet Union that would improve its international standing and secure the northern frontier of Manchukuo against possible Soviet invasion. Stalin was initially unaware of Hitler's briefing to his generals that an attack on the Soviet Union by the European Axis Powers would enable Japan to challenge the United States overtly. This briefing was based on the belief that if such an attack occurred, the Soviet Union would be too preoccupied with fighting Germany, thus making Japan feel less threatened by any possible Soviet invasion of Manchukuo, allowing Japan to have enough provisions and capabilities to start a war with the United States. This treaty would allow both Japan and the Soviet Union to avoid fighting on multiple fronts. Stalin believed that his "problems can be solved in a natural way if the Soviets and the Japanese cooperate". 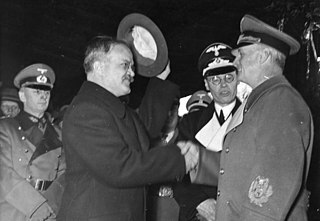 After concluding the nonaggression treaty, Stalin, in an unprecedented gesture, saw Foreign Minister Yosuke Matsuoka off at the train station. This was symbolic of the importance Stalin attached to the treaty; it also provided him with the occasion – in the presence of the entire diplomatic corps – to invite negotiations with Germany while flaunting his increased bargaining power. The treaty was signed in Moscow on April 13, 1941, by Foreign Minister Yosuke Matsuoka and Ambassador Yoshitsugu Tatekawa for Japan and Foreign Minister Vyacheslav Molotov for the Soviet Union. On the same day, the same people also signed a declaration regarding Mongolia and Manchukuo. The Soviet Union pledged to respect the territorial integrity and inviolability of Manchukuo, while Japan did the same for Mongolia. Later in 1941, Japan, as a signatory of the Tripartite Pact, considered denouncing the Soviet–Japanese Neutrality Pact, especially after Germany invaded the Soviet Union (Operation Barbarossa), but made the crucial decision to keep it and to expand southwards invading the European colonies in Southeast Asia instead. This had a direct bearing on the Battle of Moscow, where the absence of a Japanese threat enabled the Soviets to move large forces from Siberia and throw them into the fighting against the Germans. It is possible that had Stalingrad fallen, Japan would have invaded Siberia. General Tomoyuki Yamashita, known for his achievements in the Battle of Singapore, was sent to Manchuria in July 1942, and he may have been tasked with organizing the troops for the invasion. 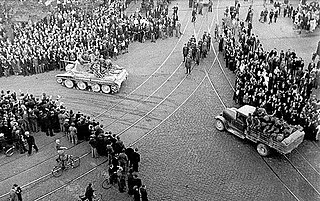 On April 5, 1945, the Soviet Union denounced the pact, informing the Japanese government that "in accordance with Article Three of the above mentioned pact, which envisaged the right of denunciation one year before the lapse of the five-year period of operation of the pact, the Soviet Government hereby makes known to the Government of Japan its wish to denounce the pact of April 13, 1941." The wording of the denunciation suggested that the Soviet Union wished to see the treaty go out of effect immediately, and Time magazine reported that the Soviet Foreign Commissar's tone indicated that the Soviet Union might go to war with Japan soon. 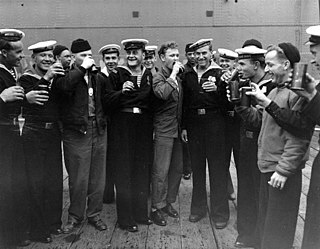 However, the text of the treaty clearly stated that the pact remained in force until April 1946. When pressed by the Japanese Ambassador Naotake Sato, Molotov confirmed that the treaty did remain in force until April 1946. On August 9, 1945, just after midnight Manchurian time, the Soviet Union invaded Manchuria. The declaration of war followed nearly six hours later. Because of the time zone difference of 7 hours, the declaration of war could be still dated August 8, 1945, being presented to the Japanese ambassador in Moscow at 11 p.m. Moscow time. ^ Boris Nikolaevich Slavinskiĭ (2004). The Japanese-Soviet Neutrality Pact: A Diplomatic History, 1941-1945. Psychology Press. p. 103. ISBN 978-0-415-32292-8. ^ Tsuyoshi Hasegawa, Racing the Enemy: Stalin, Truman, and the Surrender of Japan, Harvard University Press, 2005, pp. 46-7. ^ "Large detailed Time Zones map of the USSR - 1982". Mapsland.com. Retrieved 29 April 2018. ^ Glantz, David M (2003). The Soviet Strategic Offensive in Manchuria, 1945: August Storm. p. 182. ISBN 9780714652795. Slavinsky, Boris (2003). The Japanese-Soviet Neutrality Pact -A Diplomatic History 1941-1945. Routledge. ISBN 0-203-30083-1. Prince Fumimaro Konoe was a Japanese politician in the Empire of Japan who served as the 34th, 38th and 39th Prime Minister of Japan and founder/leader of the Imperial Rule Assistance Association. He was Prime Minister in the lead-up to Japan entering World War II. Yōsuke Matsuoka was a Japanese diplomat and Minister of Foreign Affairs of the Empire of Japan during the early stages of World War II. He is best known for his defiant speech at the League of Nations in 1933, ending Japan's participation in the organization. He was also one of the architects of the Tripartite Pact and the Japanese–Soviet Non-aggression Pact in the years immediately prior to the outbreak of war. Shigenori Tōgō was Minister of Foreign Affairs for the Empire of Japan at both the start and the end of the Japanese–Allied conflict during World War II. He also served as Minister of Colonial Affairs in 1941, and assumed the same position, renamed the Minister for Greater East Asia, in 1945. Naotake Satō was a Japanese diplomat and politician. He was born in Osaka. He graduated from the Tokyo Higher Commercial School in 1904, attended the consul course of the same institute, and quit studying there in 1905. Relations between the Soviet Union and Japan between the Communist takeover in 1917 and the collapse of Communism in 1991 tended to be hostile. Japan had sent troops to counter the Bolshevik presence in Russia's Far East during the Russian Civil War, and both countries had been in opposite camps during World War II and the Cold War. In addition, territorial conflicts over the Kuril Islands and South Sakhalin were a constant source of tension. These, with a number of smaller conflicts, prevented both countries from signing a peace treaty after World War II, and even today matters remain unresolved. Yoshitsugu Tatekawa was a Lieutenant General in the Imperial Japanese Army in World War II. He played an important role in the Mukden Incident in 1931 as Major General and he concluded the Soviet–Japanese Neutrality Pact in 1941 as ambassador to the Soviet Union. Outer Mongolia—officially the Mongolian People's Republic—was ruled by the communist government of Khorloogiin Choibalsan during World War II and was closely linked to the Soviet Union. Mongolia, with less than a million inhabitants, was considered a breakaway province of the Republic of China by most nations. 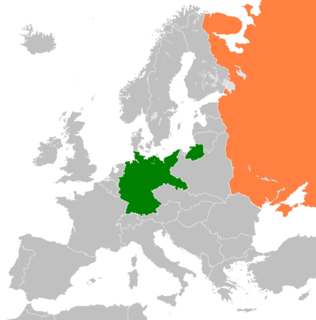 Throughout the war with Germany, the country provided the Soviet Union with economic support, such as livestock, raw materials, money, food and military clothing, violating Mongolian neutrality in favor of the Allies. Mongolia was one of two Soviet satellites not generally recognised as sovereign nations at the time, the other being the Tuvan People's Republic; both participated in World War II.